Chapo Roofing Company is your comprehensive roofing contractor with more than 18 years of experience and expertise in the roofing industry. For our professional team members, no job is too large or too small for us to take on. We will work on anything from the basic roofing repairs to re-roofs and new constructions. We understand that one of the most important parts of any house is its roof and that the last thing you want to do is to trust it to just any roofing company. Think about it; the most important function that your roof serves is to protect you and your loved ones from the elements such as sun, rain, snow and everything else in between. In addition to its unmatched function the roof is also used to enhance the beauty of your home. 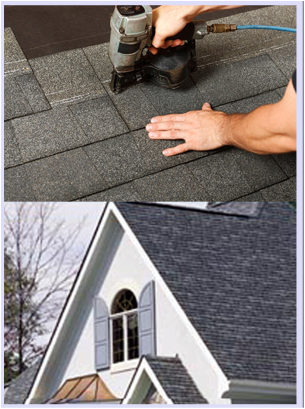 Therefore when it comes to having any work done on your roof be it roof installation, roof repair, roof replacement, roof shingle repair , all starts with roof inspections & evaluations and more you should ensure that you selected a trusted, reliable roofing company such as Chapo Construction Company. Our team of experts specializes in home roofing services; in particular we exceed at gutter and downspout installation and repair, skylight installation and repair, and home siding installation and repair. When we complete your project we guarantee that your home and yard will be left in the same way as we found it, the only difference is the amazing new appearance that your home has been given. You literally would never know that we were there. Downers Grove, IL. Woodridge, IL. Darien, IL. Lemont, IL and surrounding cities.